Believe it or not, but there’s already a new edition of David Thomson’s Biographical Dictionary of Film, which I’ve elsewhere called “one of the weirdest books in all of literature,” as well as one of the first ten books I’d bring to a desert island. I’ve written at length about Thomson before, and I won’t repeat myself here, but I’ve only since come to appreciate how deeply his work has influenced the way I write. When you’re talking about pop culture, you tend to assume the voices of the critics whose sensibilities you admire, and this kind of ventriloquism goes through many stages before you can find your own voice. The earliest “professional” movie reviews I wrote, for a website long since defunct, were shaped in equal parts by Roger Ebert and Pauline Kael, and Kael in particular pioneered a kind of breathless slangy style—equal parts hyperbole and thorny description—that few subsequent critics have been able to escape. As time goes on, though, I find myself more and more in debt to Thomson, who has subtly changed the way I think about both life and the movies. Thomson’s central theme—which is stated everywhere and nowhere in his work—is the essential strangeness of going to the movies, which takes shadows on a screen and turns them into men and women who can seem more real to us than the people in our own lives. His fascination with that uneasiness, which the rest of us take for granted, goes a long way toward explaining the odder byways in his career: his novel Suspects, which imagines new lives and a shared history for iconic characters from George Bailey to J.J. Gittes, or Nicole Kidman, a widely hated book that gradually reveals itself as a novel disguised as a confession disguised as a celebrity clip job. That dialogue between Thomson and his readers has reached the point where his more inexplicable opinions and glaring mistakes, like his assertion that Stephen King “didn’t like” the ending to Frank Darabont’s The Mist, are taken as part of his charm. And I like my Thomson warts and all. But if you take nothing but his perversity and obsessiveness, you end up with Armond White, and Thomson succeeds only because he’s also lucid, encyclopedically informed, and ultimately sane. Which doesn’t excuse the book’s real flaws. 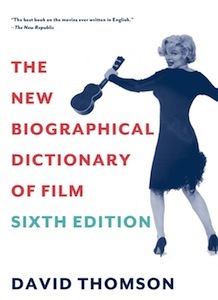 I’ve noted in a previous post that the various editions of The Biographical Dictionary of Film haven’t been revised so much as they’ve accumulated: Thomson rarely goes back to rewrite earlier entries, but tacks on new thoughts and filmographies to the end of each article, so that it grows by a process of accretion, like a coral reef. The way the book preserves all of the author’s original opinions in amber is one of its most idiosyncratic—and frustrating—qualities, but it also leads to a real analytical loss. There’s a tangible difference between Thomson’s pieces on film legends like Cary Grant, Robert Mitchum, or Orson Welles, which are finely honed essays that take in an entire life, and the ones that he continues to rework on the fly. The entry on Tom Cruise, for instance, opens by making a case for him as a “very good” actor, then shifts abruptly into disappointment at his “proven traps.” That’s the way a lot of viewers feel about Cruise, but in retrospect, his strengths and weaknesses have always been closely entwined, and it’s easy to wish that Thomson had taken the time to put together a proper reconsideration. To be fair, browsing through a new edition of the Dictionary can’t help but emphasize its shortcomings and eccentricities: you naturally turn to the latest entries, on figures from Amy Adams to Benedict Cumberbatch to Megan Ellison, or see what Thomson has to say about the recent roles of Denzel Washington or Daniel Day-Lewis, so you end up focusing on scraps and entries that are necessarily unfinished. Now and then, though, I’ll happen across an earlier article and remember why this is still the essential book on film. I’ll look at Thomson on Coppola (“He is Sonny and Michael Corleone for sure, but there are traces of Fredo, too”); on Sydney Greenstreet (“Indeed, there were several men trapped in his grossness: the conventional thin man; a young man; an aesthete; a romantic”); or on Eleanor Powell’s dance with Astaire in Broadway Melody of 1940 (“Maybe the loveliest moment in films is the last second or so, as the dancers finish, and Powell’s alive frock has another half-turn, like a spirit embracing the person”). It’s a strange, seductive, indispensable book, and to paraphrase Thomson’s own thoughts on Welles, it’s the greatest career in film criticism, the most tragic, and the one with most warnings for the rest of us. I received one of the earlier editions as a gift. I agree with you about his flaws. 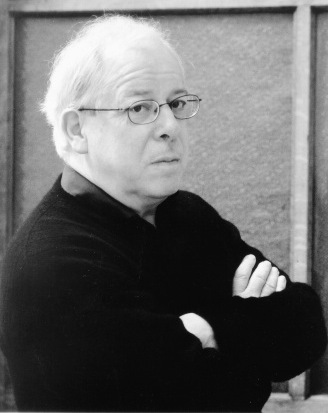 His writing can be so wonderful that one wants to love – and agree with everything he writes – but then he’ll put forth a statement that seems written purely to shock. But I think he makes me laugh more than any other film critic. I take it all with a grain of salt. Reading it over again last night, I realized that I still haven’t forgiven him for what he says about Kurosawa.